We are looking for 2 new staff members. How to apply for a job as living staff (responsible) in Estia. We encourage everyone to apply, regardless of nationality, gender, sexuality, religion, ethnic background or special needs. The only criteria that matter is your willingness to dedicate yourself to the job and to become a giving member of our community. There are, however, some preconditions and processes for becoming accepted as a responsible. Before applying for a job as a member of the staff living in Estia, you first have to come as a volunteer for a minimum of one month. So , if you haven’t been to the Estia before, the first thing we will ask you is to come and visit us as a volunteer. This is to give both you and us a chance to meet, talk, work and live together for a short time before committing to starting a trial & training period. Committing to a community is a big decision, both for the community and the new person entering into the community. There are many new things to learn and many things to think about, before deciding to share life and responsibilities.  To give space to this all new members of the staff of Estia goes through a trial & training period of six months. To read about the details see ‘Trial & Training Period – purpose, rights and responsibilities’. Before you apply you should carefully think about the ‘Necessary motivation and skills and preferred experience’ and think about how you fit with these. To be accepted you do not need to fulfill all of them, but the more the better, and the abilities/experiences you miss we will expect you take active part in learning/achieving. Motivation to work and live with people with special needs. Motivation to live in a community. Motivation to take part in the decision making and long term responsibility of the community. Motivation to settle down in Estia and make it your home. Experience in working with disabled people or other similar kinds of social work. Experience in living or working in community. Experience in participating in decision making. Experience and interest in gardening / maintaining / pottery work / jewelry work/teaching / cooking / economy / building / music / physical education / nursing / physiotherapy / administration / fundraising / organizing / other crafts or skills that can be used to develop our community or as an activity with our people. We will read it and get back to you as soon as we can.